James Rodriguez is set to see explosive career growth at the Allianz Arena after joining German champs Bayern Munich. His father played the game in Columbia so the 2014 World Cup star has it ingrained in his genes. 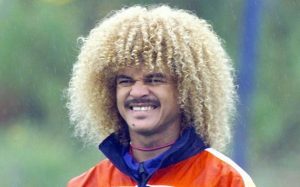 The star was influenced by his mother to avoid top sides like IndependienteEnvigado and Atletico Nacional but rather play for Envigado where he developed into a prodigy. Rodriguez has always aimed at the No. 10 jersey of the Columbian national team and it is a dream that he is living. 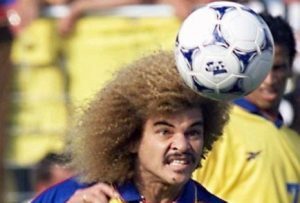 He has always adored Columbian soccer legend Carlos Valderrama. The talented player has quickly grown from helping Envigadomake the top flight in 2009 to deciding to help Bayern in the quest for a Champions League trophy in 2017. Carlo Ancelotti is under pressure to deliver the primary mandate of his employment. As Porto launched Rodriguez from South America to Europe, Bayern could be that Launchpad for the midfielder to the gates of European football, after his redundancy at the Santiago Bernabeu. James would need to bring his best that has helped him move from Medellin, through Portugal, the World Cup in Brazil and through the biggest club in the world Madrid and then to Germany. Ancelotti gave him the wings to fly while he was at the helms at Madrid. James scored 13 goals and had numerous assists in 29 La Liga games in his debut season. The change in coaches affected him and there was so much happening at Madrid. Zinedine Zidane largely ignored him so it was a good career move that he sought where to thrive. As the revelation of the last World Cup, he has a unique opportunity to prove himself in an understanding atmosphere ahead of the mundial next year.